Flood waters remain on a street in a duplex neighborhood Friday, June 22, 2018, in north Edinburg. EDINBURG — It’s been more than a week since Gov. Greg Abbott asked the federal government for assistance with the June flooding in Cameron and Hidalgo counties, but so far, there’s been no response from Washington D.C.
“Every day that there is a delay in the declaration, we’re getting more and more families that are kind of at the breaking point,” Hidalgo County Community Service Agency Executive Director Jaime Longoria told commissioners court Tuesday morning. Thousands of families continue to line up for available assistance and some are returning to homes that pose possible health concerns. As of Tuesday morning, 87 people remained at three shelters located throughout the county. 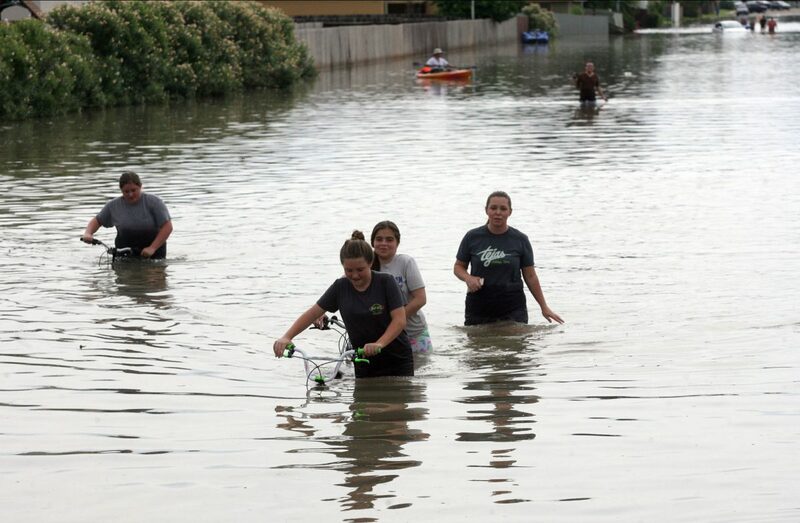 Residents from Oak Terrace subdivision go through waist deep water on Thursday, June 21, 2018 in McAllen. 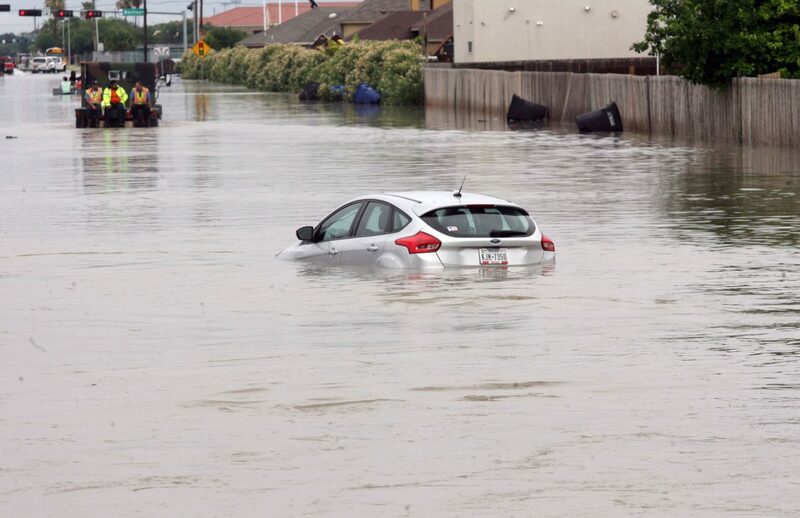 A vehicle sits submerged in water at Oak Terrace Subdivision on Thursday, June 21, 2018 in McAllen. 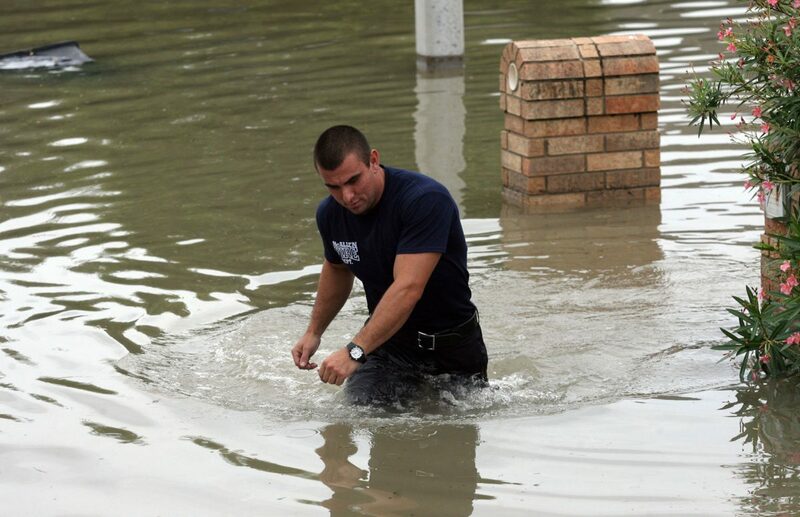 McAllen Fire fighter Aaron Resendez walks in waist deep water searching for residents at Oak Terrace subdivision on Vine and Bentson on Thursday, June 21, 2018 in McAllen. Experts on health and human services are monitoring for possible illnesses tied to the floods, Hidalgo County Health Director Eddie Olivarez said. Part of that effort includes an epidemiological surveillance team. In order for homeowners or public entities to obtain financial assistance from the Federal Emergency Management Agency (FEMA), the president must sign a federal disaster declaration, and that hasn’t happened yet. A team from the state division of FEMA visited the area last week to survey damaged homes in south Pharr, and on Friday, they submitted paperwork to the federal agency asking to proceed with the declaration for individual assistance to those families, Hidalgo County Emergency Management Coordinator Rick Saldaña said. 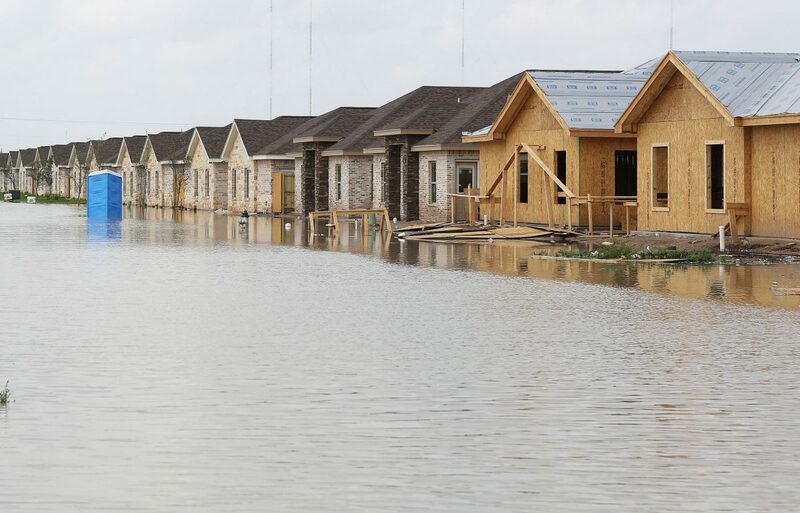 “We still have not received any type of formal authorization that FEMA has approved it or that the president has signed the declaration for individual assistance,” he told commissioners Tuesday. The county sent figures to the state that indicate it has surpassed the $37 million threshold needed in order to qualify for federal aid, but the state is now working to confirm those numbers, Saldaña added. “We met the threshold,” he said about receiving public assistance. “But they’re trying to confirm those numbers.